The explosive growth of the local food movement is hardly news: Michael Pollan's books sell millions and the spread of farm-to-table restaurants is practically viral. But calls for a "food revolution" come most often from a region where the temperature rarely varies more than a few degrees. In the national conversation about developing a sustainable and equitable food tradition, the huge portion of our population who live where the soil freezes hard for months of the year feel like they're left out in the cold. 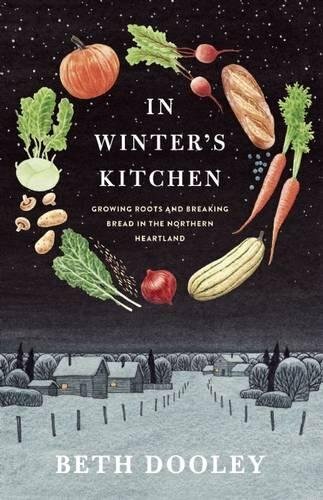 In Winter's Kitchen reveals how a food movement with deep roots in the Heartland--our first food co-ops, most productive farmland, and the most storied agricultural scientists hail from the region--isn't only thriving, it's presenting solutions that could feed a country, rather than just a smattering of neighborhoods and restaurants. Using the story of one thanksgiving meal, Dooley discovers that a locally-sourced winter diet is more than a possibility: it can be delicious.